The fields of finance and economics are intricately related. In some situations, such as financial statement analysis or valuations, an experienced analyst can provide insight into how financial data should be correctly interpreted, including how to make adjustments that make data useful for economic analyses. In addition, some laws and regulatory bodies require certain analyses to be completed in accordance with specific professional rules and guidelines, such as Generally Accepted Accounting Principles (GAAP) or International Financial Reporting Standards. Our team includes economists, Certified Public Accountants, MBAs, and financial professionals with the academic training and experience required to analyze financial and economic data prepared in accordance with recognized standards. We combine statistical and econometric expertise with an in-depth understanding of the nature and possible flaws in the underlying financial data. We are frequently asked to provide consulting or expert testimony. Our experts have extensive experience with identifying and interpreting the accounting standards or financial concepts appropriate in ambiguous circumstances. Analyzing the value of securities tied to subprime lending. Examining allegations of accounting fraud in securities transactions. Evaluating economically complex transactions or entities. Determining the economic effect of hedging strategies. Analyzing the financial ramifications of credit rating downgrades. Examining the economic effect of accounting assumptions and estimates. This matter involves a dispute between a leading television and internet seller of jewelry and a software company. Accumyn was asked to review and opine on the damages suffered by the jewelry seller as a result of the failed software implementation. Accumyn determined the jewelry seller’s out-of-pocket costs and extra-expenses incurred as a result of failed software implementation. This included payments to the software company, as well to the other third-party vendors. This involved a determination of the value of the benefit received, if any, for each of these payments. Accumyn also determined the internal labor costs incurred by the jewelry seller in order to ameliorate the damage from the failed software implementation. The assignment also involved the preparation of five lost profit models to determine the damages suffered by the jewelry seller as a result of various delays in obtaining functionalities that had been promised by the software company. Five additional lost profit models were prepared to determine the damages suffered by the jewelry seller as a result of internal projects that were also delayed as a result of the failed software implementation. 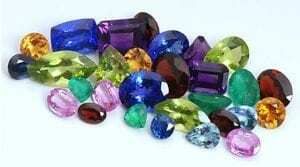 These analyses involved determination of the expected incremental profits the jewelry seller would have experienced, if not for these delay periods. Scott Bayley provided two expert reports and trial testimony in support of his opinions. 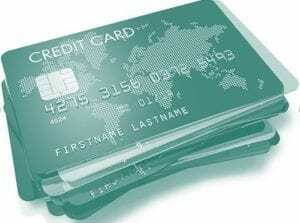 This matter involves a dispute between a high-end credit card company that provides co-branded marketing services and a global payment processing company. Accumyn was asked to review and opine on the damages suffered by the credit card company based on claims that the payment processing company breached its contractual and common-law obligations and interfered with the credit card company’s business operations. Accumyn determined the credit card company’s lost profits as a result of the payment processing company’s actions. This analysis was based on offsetting the credit card company’s expected program revenues by expected incremental program acquisition and variable carrying costs to derive future profit projections. These revenues and expenses were determined based on the credit company’s historical operating results, as well as the typical operating margins in the credit card industry. Accumyn then calculated the credit card company’s out-of-pocket costs and extra-expenses incurred as a result of the payment processing company’s actions. This included costs incurred by the credit card company in the process of re-branding its product, retaining its customers, and converting to a new payment network. Accumyn also determined the internal labor costs incurred by the credit card company in order to ameliorate the damage from the actions of the payment processing company. Scott Bayley provided two expert reports and deposition testimony in support of his opinions. Accumyn assembled a team of engineers and forensic accountants to determine the profits earned by a sub-contractor from constructing two land-based drilling rigs for a Canadian exploration and production (“E&P”) company. The E&P company hired a contractor who sub-contracted the project to a land rig specialist. After more than $8 million was paid to the original contractor, the contractor ceased operating and entered chapter 7 bankruptcy. The sub-contractor said a delay in payments by the contractor had resulted in a price escalation and demanded almost $2 million in additional payments to complete the first rig. After the first rig was delivered, the sub-contractor terminated the agreement and sold the uncompleted second rig to a third party. Accumyn’s technical engineering experts identified each major component of the rig construction and the related purchase orders and disbursements. Accumyn’s engineering and forensic accounting experts demonstrated that funds had been used to acquire parts and pay expenses for unrelated purposes, including other rig construction projects. Accumyn prepared a detailed analysis of the deteriorating capital markets during the 2007 financial and credit meltdown and the impending sub-prime mortgage crisis to derive a but-for calculation that would represent what could have been done by a shopping center developer had they been informed in March 2007 of their anchor tenant’s intent not to lease. This analysis included a comparison of the value of the center based on spring 2007 market conditions and conditions at the time of trial in late 2009. The shopping center developer initiated a project in The Woodlands, Texas, to build a Class-A center under the assumption that the anchor tenant, a high-end organic grocery store, would be occupying the most visible space to attract customer traffic and enhance its appeal to other tenants and institutional investors. However, the grocery tenant allegedly decided to terminate its lease several months before disclosing to the developer. The alleged misrepresentation coincided with the 2007 financial and credit meltdown and the impending sub-prime mortgage crisis. Due to the anchor tenant’s delayed notification, the developer experienced difficulty in filling the remaining space and subsequently had to develop the center in a market characterized by scarcity of credit funds, higher required rate of returns from equity investors, and a poor overall prospect of the U.S. economy; this resulted in higher capitalization rates and a lower market value of the center. The Accumyn team assisted the developer by preparing analysis of various budgets based on different development scenarios, including net rentable square footage, lease rates, capitalization rates, and discounts rates in various timeframes. The Accumyn team prepared a forensic analysis of transactions dating back to 1986 to determine a decease CEO’s Heirs’ and investors’ share in economic benefits from a patented technology. The technology was developed in 1990 and was the subject of patents filed in 1991. Subsequently, these patents were the subject of a lawsuit resulting in a settlement of $612.5 million in 2006. Accumyn determined the proportional distribution of the 2006 settlement proceeds the heirs and investors were entitled to as well as a proportional distribution of the sums received for this technology in 2004, 2005, 2012 and thereafter. Accumyn performed a review of S corporation, partnership and individual federal and state income tax returns. Accumyn prepared detailed funds tracing binders with explanations and support of investor funding before, during and after the development of the patented technology. As a result of Accumyn’s forensic analysis, the underlying sources of funds provided during development of the patented technology, as well as the changing shareholder interests over time, including the conversion of the entity’s convertible debt instruments at issue, were corroborated. Accumyn determined the sources of claimed ownership in the patented technology, and the receipt and distribution of sums subsequently received in connection with monetizing the patented technology. Accumyn prepared an analysis of the magnitude of equity ownership by chief executive officers of companies in the United States and Canada in order to determine a percentage range for granting equity in exchange for services (sweat equity) to the heirs of the deceased CEO. Accumyn’s forensic analysis provided the foundation from which computations could be made for the shareholder’s share of the monetary benefits received from exploitation of the patented technology. Accumyn’s expert calculated the current net worth of certain individuals and entities for the purpose of assessing punitive damages, and rebutted similar calculations by the opposing expert.